Is this a new trend where the export of oil from US are booming? What is the evidence? Detailed answer: The US exported a record amount of oil in 2014. If we look back at 2008, 2009, domestic production was half what it is now. Production of light oil is largely responsible for the increase. Light oil output increased to 4.5 million barrels a day last year from 1.8 million barrels a day in 2011. The U.S. is producing 7.8 million barrels of oil a day, more than it has in a quarter-century. Between 2007 and 2012, fracking also generated an 18-fold increase in U.S. production of what is known as light tight oil, high-quality petroleum found in shale or sandstone that can be released by fracking. Between 2007 and 2012, U.S. shale gas production rose by over 50 percent each year, and its share of total U.S. gas production jumped from five percent to 39 percent. Foreign barrels account for 43 percent of the oil in U.S. refineries, the lowest level since 1992. When did the last boom in oil exports happened in US? Short answer: Before 1970s, U.S. conventional crude oil production peaked in 1970 due to reserves access and technology limitations. Detailed answer: During the 1960s petroleum production in some of the world's top producers began to peak. Germany reached its production peak in 1966, Venezuela and the United States in 1970, and Iran in 1974. Canada's conventional oil production peaked around this same time (though non-conventional production later helped revive Canadian production to some degree). The worldwide production per capita peaked soon afterward. Though production in other parts of the world was increasing, the peaks in these regions began to put substantial upward pressure on world oil prices. Equally as important control of the oil supply became an increasingly important problem as countries like Germany and the U.S. became increasingly dependent on foreign suppliers for this key resource. What is fueling the oil export boom? Short answer: Technological improvements are enabling producers to produce more from existing shale formations. Detailed answer: The combination of horizontal drilling and hydraulic fracturing technologies enable oil and gas companies to tap a large new source of oil and gas production held in shale and other low porosity or tight geologic formations using these techniques. Producers using horizontal drilling and hydraulic fracturing in underground shale rock have boosted output by 66 percent. How does the new technology namely, horizontal drilling and hydraulic fracturing, compare (economically) with that of conventional methods of drilling oil? Detailed answer: Fracking oil or gas from mile-deep shales is expensive: It requires deep vertical and horizontal drilling and injections of chemicals, sand, and water at high pressure. This in-situ extraction of unconventional shale or tight oil is still more costly than conventional oil produced from non-shale formations around the World. Today the breakeven cost for tight oil is about $70-$75 per barrel. Were these technologies (horizontal drilling and hydraulic fracturing) not available earlier? When did these technologies become available? Short answer: No, they have been available since early 1980s. Detailed answer: During the 1970’s-early 1980’s major and independent oil companies such as Exxon and Tosco developed new ‘ex-situ’ production technologies. Similar to Canadian ‘oil sands’, ex-situ shale oil production involved mining the shale (rock+tight oil) and separating the rock-oil in (above ground) ‘retort’ processing. This shale oil ex-situ production technology was ready for full Industrial development by the early 1980’s. If the technology (horizontal drilling and hydraulic fracturing) was available since 1980s, why were they not employed earlier by oil producers in US? Short answer: Producing oil using these technologies was financially unfeasible. Detailed answer: One of the critical economic performance factors of ex-situ shale oil development was ‘production costs’. In 1980 market crude oil prices were over $30 per barrel and expected to increase further. Ex-situ production breakeven costs were about $30 per barrel. If World market prices continued to increase as projected, the economics of ex-situ shale oil production would become increasingly attractive. Unfortunately the combination of early 1980’s economic recessions, declining world crude oil demand, and OPEC oversupplying the markets led to a long-term decline in market prices. These factors effectively shutdown all the ex-situ shale oil production projects in the early 1980’s. What has changed since 1980s that make horizontal drilling and hydraulic fracturing feasible now? Short answer: Producing oil using these technologies is now financially feasible due to higher oil price. Detailed answer: Despite the failure of ex-situ shale oil extraction projects some companies continued to develop alternative ‘in-situ’ extraction technologies that did not require mining the shale oil deposits. This Oil & Gas R&D work eventually led to the successful development ‘hydraulic fracturing’. The in-situ extraction of unconventional shale or tight oil is still more costly than conventional oil produced from non-shale formations around the World. Today the breakeven cost for tight oil is about $70-$75 per barrel. Having World crude oil market prices well above $75 per barrel makes the production of current and future tight oil production very economically attractive. As a matter of fact, from 2010 to until now the price of crude oil has mostly hovered at more than $90 per barrel. What started the boom? What kept the technological developments going? Short answer: Depressed natural gas prices forced the adoption of technologies in oil and wet gas rich basins. Detailed answer: The export record was unthinkable just five years ago, when U.S. crude production was still near a nadir after a 25-year decline. By the late 1990s, it appeared that the U.S. would need to supplement domestic natural gas. This conventional wisdom largely drove the trend in U.S. crude oil pipeline developments for the past 20 years and is illustrated in the static landscape of the major U.S. crude oil pipelines, which had remained largely unchanged from 1995 to 2005. In the beginning the impact of the shale shift on U.S. oil and gas infrastructure was primarily a natural gas story or, more specifically, a dry natural gas story. The initial impact of shale gas on infrastructure development was largely focused on natural gas gathering systems, natural gas interstate pipelines, and natural gas storage. A key theme in the recent development of U.S. oil and gas infrastructure has been the migration of techniques originally developed for shale gas to liquids rich production plays. Particularly in light of depressed natural gas prices the ability to adopt these techniques in oil and wet gas rich basins has been critical to keeping the U.S. drilling rig fleet fully utilised. What would cause the boom to come to an end? Businessweek reports that the "dirty secret" of the shale oil boom is that it may not last. Fracked wells are short-lived, with a well's output typically declining from more than 1,000 barrels a day to 100 barrels in just a few years. New wells must be drilled frequently to maintain production. While wells currently pumping can survive low market prices because they have already incurred startup and drilling costs, low oil prices diminish the incentive to invest in new well investments. Recent projections indicate that by decade's end or a few years after, U.S. oil production from fracking will likely flatten out as supplies are depleted. The current decline in World oil market prices problematic for future tight oil Production Companies. If Saudi Arabia/OPEC continues to drive down World market crude oil prices to less than $75 per barrel for 12+ months, U.S. domestic production could begin declining towards the end of 2015.
Who are America's the biggest customers? About 91 percent of all crude exports, which included foreign-origin crude that has been stored in the U.S., went to Canada in November. The remainder included 608,241 barrels to Switzerland, 508,356 to Singapore, and 287,970 to China. Is the boom attracting more capital? How does it compare to investments in the past? What is the effect on economy? Yes. The macro trend that began just before the recession reversed a multi-decade long infrastructure trend in the U.S., one based upon the presumption that the U.S. would be importing an ever increasing percentage of its energy demand in the form of crude oil, refined products, natural gas liquids, and liquefied natural gas. The investments over this period (nominally the period between 1975 and 2005) in the major pieces of oil and gas infrastructure largely support this now increasingly incorrect outlook of an ever increasing energy trade imbalance. IHS estimates that capital spending in oil and gas midstream and downstream infrastructure has increased by 60 percent, from $56.3 billion in 2010 to $89.6 billion in 2013. In 2010 and 2011 calculated direct capital investment in crude oil and NGL’s logistics and processing averaged just under $8 billion annually. As the need for supporting infrastructure became self-evident, the direct capital investment in liquids logistics and processing increased by over 260 percent, jumping to $22 billion in 2012, and then increasing by another 32 percent to just under $29 billion in 201326. This almost quadrupling of direct investment has stimulated almost every aspect of U.S. domestic oil and gas infrastructure, creating a construction and development surge not experienced in the U.S. petroleum industry in 25 years. At what rate is the production of oil growing in the US? The U.S. is now the global growth leader in crude oil production capacity growth, adding nearly 1.2 million barrels per day (mbd) of capacity over the 2008 – 2012 time period. In addition, the U.S. is now the largest natural gas producer, at 65 billion cubic feet (Bcf) per day. At the same time, unconventional activity is spurring the growth of natural gas liquids (NGLs) production, adding over 500,000 barrels of oil equivalent (boe) per day since 2008.
Who is the US competing with? The U.S. is still a relatively small exporter on the global market. A half-million barrels a day is less than 10 percent of what Saudi Arabia exports. What role is being played by the govt? Regulating the export of oil. Congress will discuss repealing the ban in 2015, Representative Ed Whitfield, a Kentucky Republican and chairman of the House Energy and Power Subcommittee, said at a Dec. 11 hearing in Washington. Why was crude oil export ban implemented? 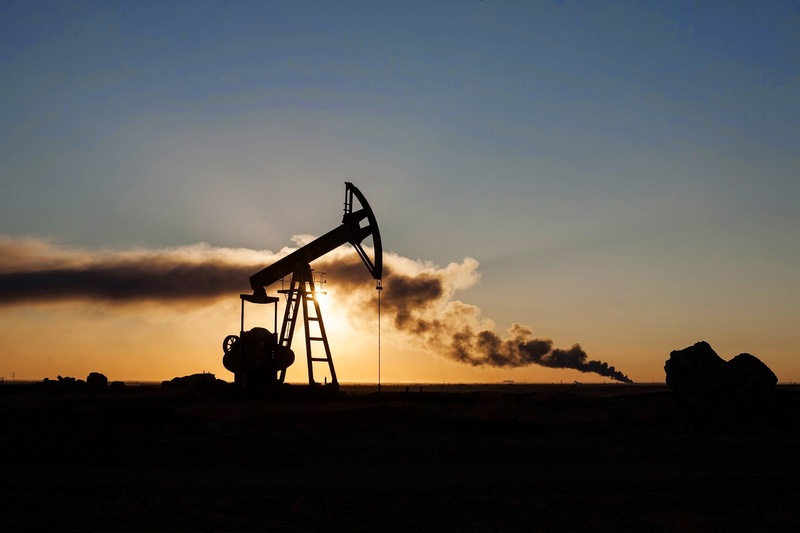 The oil-export ban was put in place to address scarcity concerns and keep U.S. producers from bypassing price controls by selling oil for a higher price abroad. In the wake of the 1973 Arab oil embargo, Congress enacted a ban on the export of crude oil. The ban on oil exports was largely academic in that the United States was becoming increasingly reliant on crude oil imports. In 1973, the United States imported an average of 3.2 million barrels of crude oil per day (million b/d) and 3.0 million b/d of petroleum products. By 2005, crude oil imports had more than tripled to 10.1 million b/d while petroleum product imports had risen to 3.6 million b/d. Reliance on oil and product imports as a percent of total petroleum consumption increased from 36 percent in 1973 to 66 percent in 2005. What's the rational/logic behind the lifting of export ban on oil? A major incentive to increase domestic crude oil production would of course be opening sales to global markets by removing the ban on exports. Economically, then, it makes more sense to export light crude oil to Europe and Asia where more refineries are configured to handle light oil. Light oil sells at premium compared to heavier oil in world markets. In the United States, however, the refinery mismatch means that light oil sells as a significant discount relative to heavier, imported oil. The current price for light oil in the United States makes the development of some shale plays less economic. Once producers are free to export crude oil to markets abroad where it is more highly valued, the incentive to further develop these resources will be significantly increased. Second, in the current climate in which many of our best allies are dependent on Russian supplies of oil and gas, increasing U.S.-sourced resources in the global marketplace will be of great benefit in reducing such dependence. What's the rational/logic behind not lifting of export ban on oil? Critics of oil exports argue that exports would raise the domestic price of oil and therefore the cost of petroleum products like gasoline and diesel fuel. There is a touch of irony in the argument that allowing oil exports would raise the price of oil because some complain that the significant increase in U.S. oil production in recent years has not reduced the price of oil and gasoline. But in fact, increased U.S. oil production has affected the world price of oil. The 3.5 million b/d increase in production since January 2008 has offset the loss of oil production due to unplanned disruptions in countries like Libya, Nigeria, and Angola and the sanctions imposed on Iran. Had U.S. production not increased—had it continued its long-term downward trend—the world price of oil would be much higher today. Many likewise believe that gasoline prices will rise if the ban is lifted. On the surface, this seems to make sense: if we export oil, we have less of it here and therefore the price of all petroleum products must rise. Given the public’s sensitivity to changes in the price of gasoline, many in Congress are reluctant to support eliminating the ban on crude oil exports. The oil market, however, is worldwide and prices of various grades of oil are set in world markets. Producing more oil domestically will put additional downward pressure on the world price of oil. If we export oil and then have to import more of it to offset exports, it might seem a wash and the price of oil would not change. In reality, however, the price of gasoline would likely fall a bit. The reason is that the price of light oil is artificially depressed in the United States. By allowing light oil to be exported, the price received by producers would rise, thereby spurring additional development and thus leading to an increase in production over and above what would be forthcoming were exports banned. Moreover, we note that the United States is already a net exporter of refined products such as gasoline and diesel (an average of 3.6 million b/d to date in 2014) and this has not caused domestic prices to deviate from global crude prices. That is, gasoline and diesel prices continue to move in tandem closely with the world price of crude oil despite the increase in product exports. Is light crude oil better than heavy crude oil? That is, why don’t we simply use new production of crude in U.S. refineries and thereby further reduce our reliance on crude oil imports? The reason for allowing exports is primarily that not all oil is the same. Most of the increased production in recent years has been in the form of lighter (“sweet”) crude oil. Unfortunately, this type of oil is not well-suited for U.S. refineries. U.S. refiners have invested over $85 billion in the last 25 years to reconfigure their plants so that they can efficiently process heavier crude oil slates because this oil sells at a discount and has been increasingly available to U.S. refineries. Much of this heavy oil originates in Canada, Mexico, and Venezuela. These refineries can process lighter slates of crude oil, but given the way they have been configured, their efficiency, in terms of the yields of petroleum products like kerosene, light diesel oil, heating oil, and heavy diesel oil would fall. Why is there a difference between WTI and Brent? Light crude oil currently is selling in the United States at spot prices that are below the world price of oil. As shown in Figure 2, the Brent spot price has exceeded the West Texas Intermediate (WTI) spot price since November 2010. The Brent spot price is a better indicator of the cost of incremental (imported) oil supplies. This was not always the case. From May 1987 through the end of 2010, the long-term difference between these two spot prices averaged $1.37 per barrel and, during this period, it was the WTI price that was at a premium compared to the Brent price. The gap between these two prices expanded after 2010, reaching as high as $27.31 per barrel in September 2011. Even with the decline in the difference in recent months, the gap between these two prices averaged $13.64 from January 2011 through July 2014. There are two reasons why the WTI spot price is currently so far below the Brent spot price. First, due to the surge in oil production, especially from new oil shale plays in the Northern Great Plains and the Utica and Marcellus formations in the East and Midwest, the ability to ship oil coming down to major refining locations in the Midwest and the Gulf Coast from the newer places is hindered by the lack of pipeline capacity. As a result, much of this oil must be shipped by rail which is more expensive than shipping through a pipeline. To compete, the oil coming south from North Dakota must sell at a discount. With new pipelines, however, it is becoming easier to ship oil out to the Midwest. As a result, the gap between the WTI spot price and the Brent spot price is narrowing. The second reason is that, as mentioned earlier, refiners are not willing to pay a premium for lighter oil because their facilities are largely configured to process heavy oil and cannot process lighter grades as efficiently. To compete, the lighter oil that is being produced in places like North Dakota must be priced competitively with less expensive, heavier crude oil. What causes the price of oil to fluctuate? On a day-to-day basis, various factors including weather, inventory reports, changes in the value of the dollar, economic reports signalling an upturn or downturn in the economy, a terrorist action that halts production, and changes in the amount of excess worldwide production capacity, can cause the price of oil to fluctuate around its long-term trend. Arguing that the market for crude oil is not free also resonates with many, but the fact is that the price of oil is determined by the forces of global supply and demand and moves over time in a way consistent with these market forces. As mentioned above, the daily spot price of oil is impacted by a number of factors, thereby resulting in price volatility on a day-to-day basis around the longer-term trend in the price of oil. This simply reflects the rational response by market participants to events that impact the oil market. If a hurricane, for example, knocks out refineries and drilling rigs along the Gulf Coast as two did in 2005, the price of petroleum products will rise, thereby signalling consumers that, temporarily, petroleum products in some markets have become scarcer. The function of higher prices is to allocate existing supplies among consumers. How can OPEC impact the price of oil? OPEC can impact the price of oil, but its ability to determine the price of oil in the long-term is limited. OPEC countries rely on the revenue generated from oil sales. If OPEC countries cut back on production, their spare production capacity will grow. The fall in revenue is very detrimental to the budgets of these countries, especially when they realise that the marginal cost of producing oil when they have spare production capacity is low. 10 Eventually, growing excess capacity causes any cartel discipline to fall apart, just as it did in the mid- 1980s. Added to OPEC’s problem in trying to control the price of oil are the rise in production from non-OPEC countries (including, now, the phenomenal increase in U.S. oil production) and the slowing growth in consumption in Europe and the United States. How would lower gasoline prices affect refineries? A consequence of a slightly lower price for petroleum products and having to pay more for domestic production of light oil, refiners could see their margins reduced slightly even though they would pay less for imports of heavier oils. What is the impact of lifting export ban on the other parts of economy, namely manufacturing sector? Ending the ban on crude oil exports would benefit the manufacturing sector in several ways. First, oil producers will increase expenditures for exploration, production, and transportation of crude oil. These activities involve long and complex supply chains which include manufactured products such as drilling pipes, pumps, drilling rigs, earth moving equipment, and motor vehicles. Purchases from manufacturers will be direct, as when a driller buys pipe or pumps and compressors. Much indirect activity also will be stimulated, such as the production of coal, ore, and limestone used to produce the steel that makes up the pipe. Second, because increased production of oil would contribute to a moderation in the world price of oil, manufacturers, especially those that consume a lot of energy, would benefit from lower prices for petroleum products. In addition, associated natural gas, which is akin to a by-product of much of the oil production from shale formations, would put additional downward pressure on the price of natural gas, an important feedstock for many manufacturers. In 2012 (the last year for which comprehensive data is available) almost 17 percent of all gas production, around 5 trillion cubic feet, came from oil wells and this number has likely increased in the last several years as most drilling is now directed at oil. Third, the general improvement in economic growth and employment will provide manufacturers new “induced” demand for products seemingly far from the oil field supply chain. For instance, securely employed steel and oil workers earning higher salaries will be better able to afford a long-delayed new vehicle purchase. In addition to automakers, food producers, apparel providers, and appliance manufacturers would all enjoy enhanced business. Who would be the losers if the ban on exporting crude oil is lifted? This latter result of course benefits consumers but would cut into the gross margins of refineries in the United States. Total refinery output, however, would grow in our export enhanced scenarios. Growing exports of crude oil and products would lower the U.S. trade deficit by about 1 percent but would lead to strengthening the dollar and slightly lower total manufacturing exports by the end of our projection period. I recently finished reading the book The Winning Investment Habits of Warren Buffett & George Soros by Mark Tier. This book is author's attempt to discover the winning investment habits of successful investors regardless of whether they deal in shares, currencies, real estate or something else. This post is a summary of the key takeaways that I took from the book (in no particular order). Build a long term future-oriented attitude towards money. Learn to look at a every penny or dollar for not what it is worth today, but what it can become. A simple saving of $500 dollar per month, compounded over 10 years at an above inflation rate of 6% (historical stock market return) becomes an amazing total of $90,000. Avoid consumer debt at all cost. Albert Einstein called compound interest the eight wonder of the world. Remember, if compound interest isn't working for you, it's working against you! Trying to time or predict markets next move is a losers game. Unfortunately, believing that somebody else can predict the market is also a a losers game. History tells us that markets will move up and down. Economy will go through cycle of boom and bust. There is little value in fretting about something that you have no control over. Stop looking for the magic formula or silver bullet. Saving money and building wealth requires continuous learning, hard work, perseverance, patience (time in the market) and nerves of steel. In other words, focus on preservation of capital. If you lose 50% of your capital, then at a CAGR of 12% it would take approximately six years to make it back and four years at a CAGR of 20%. Bear in mind, these figures are before taking into account the time-value of money. Conventional wisdom says that in order to achieve high-returns, you have to take high-risk. This is not true. A far better strategy is one which is built around low-risk high-return investments. There are various approaches you can take to minimise risk. Knowledge: Risk is related to knowledge, understanding, experience and competence. This approach requires a laser focus to build expertise in a particular industry and/or company. The idea is to understand the ins and outs of each & every investment throughly. As a result, investors who practise this strategy happen to run fairly concentrated portfolios and develop their niche (circle of competence). E.g. Philip Fisher, Warren Buffett and Charlie Munger. Actively managing risk: This approach requires an investor to continuously monitor the market and use mechanical techniques like stop-losses to actively manage risk. Actuarial: This approach requires an investor to focus on positive average profit expectancy (win ratio) as opposed to the gains and loss of each and every investment investment. Diversification: While it is true that Warren Buffet runs a very concentrated portfolio, this does not mean diversification provides no value. The less the expertise you hold, the more value diversification provides. Mr Market: If you happen to fall in this camp and believe the Mr Market will sometime quote a price that is ridiculously high (overvalued) or insanely cheap (undervalued), it is imperative to identify fair-price (value). Phillip Fisher and Ben Graham were both value investors but, there definition of "value" was polar opposite to each other. What is your definition of value and thereby undervalued security? A stock that can be bought for less than its book value? Or a stock that can be bought for less than its intrinsic value i.e. present value of its future cash-flow. Every single one of these theories have their advantages and flaws. This is to be expected as they are simplification/generalisation of the complex real world. It doesn't matter which philosophical camp you belongs to, what matters is whether your chosen investment strategy is aligned with your beliefs about the market. My beliefs about the nature of the market is dominated by EMH and Random Walk hypothesis. This is not to say that I believe that market prices are always rational/efficient. However, I do believe that it is extremely difficult for an individual investor to identify and exploit such inefficiencies. Hence, my investing strategy is to invest in index funds. A well thought out investment strategy eliminates (or at least significantly reduces) the role of emotions in investment decisions. A well thought out investment strategy should be aligned with the investor's personality. You should realise that anything can and will happen in the market. List all of the worst-case and best-case scenarios that can happen to the best of your knowledge. Focus on what is under your control. How would you react if some of the worst case scenarios came to fruition? Your exit strategy should not be an after-thought but should be predetermined before or at the time of buy decision. Having a predetermined exit strategy takes the emotion out of selling. It is worth exploring successful (different) strategies of some of the worlds greatest investors. Portfolio stucture and leverage No target structure. You have to think for yourself. You have to conduct your own research thoroughly and ignore the market noise or the opinions of the so called "experts". Learn to avoid obvious big mistakes. As Charlie Munger puts it, "What happens if all our plans go wrong? Where don’t we want to go, and how do you get there? Instead of looking for success, make a list of how to fail instead – through sloth, envy, resentment, self-pity, entitlement, all the mental habits of self-defeat. Avoid these qualities and you will succeed. Tell me where I’m going to die, that is, so I don’t go there." Never ever ever stop learning. Persistence, determination and voracious appetite for learning will take you a long way in achieving success. When you make a mistake, look inwards and accept responsibility. Do not blame others. The book also provides a rich collection of examples that explain the investment strategy of Warren Buffett, George Soros, Carl Icahn, Harry Browne and John Templeton. Like always would love to hear thoughts /opinion from my readers. 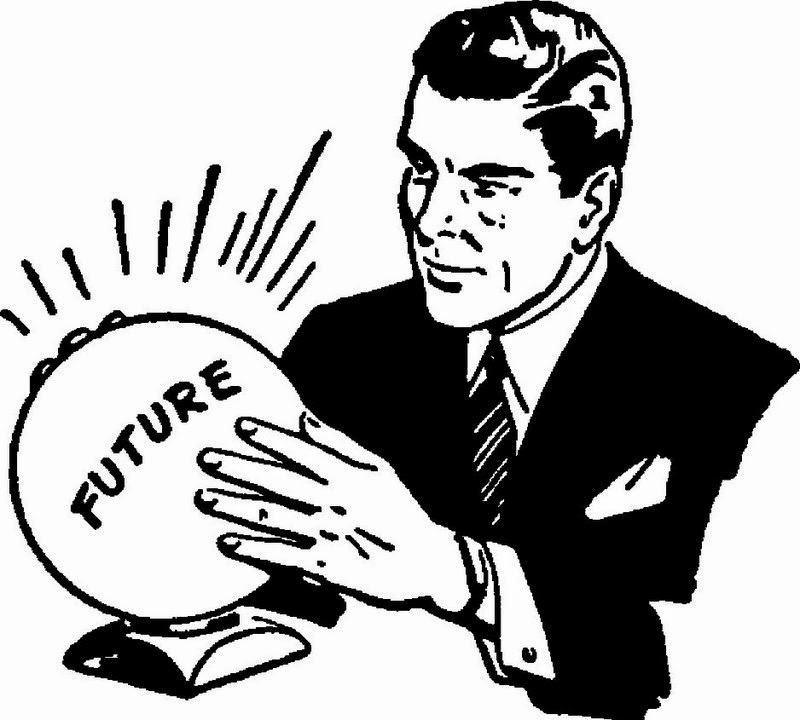 The hallmark of the most famous prediction on market was made by the investor Roger Babson on September 5th, 1929, on the eve of the Great Crash. “Sooner or later a crash is coming, and it may be terrific.” Babson said. Later that day the stock market declined by about 3%. This became known as the "Babson Break". The Wall Street Crash of 1929 and the Great Depression soon followed and, three years later, they bottomed nearly 80% below their peak. With a prediction like that, it’s not surprising that history has lionized Babson’s forecast. What has been forgotten is that Babson had been saying the same thing for years. And during those years - the last, glorious years of the Great Bull Market of the 1920s - Babson looked like (and probably was considered) an idiot. Elaine Garzarelli was an obscure number-cruncher when, on October 12th, 1987, she predicted “an imminent collapse in the stock market.” That was just one week before October’s “Black Monday.” Suddenly, she became a media celebrity. And within a few years, she had turned her celebrity status into a fortune. By following her own advice? No. She became one of the highest-paid “gurus” in America, with a salary estimated between $1.5 and $2.0 million a year. And money poured into her newly-created mutual fund, reaching $700 million in less than a year. With a management fee of 3%, that’s $21 million smackeroos per year. Not bad - though the fee went to Shearson Lehman Brothers, her employer and the manager of the fund, rather than Garzarelli herself. In 1996, she started an investment newsletter that quickly grew to 82,000 subscribers. The business benefits of guru-status made plenty of money for Shearson and for Elaine Garzarelli - but what about her followers? By 1994, the mutual fund’s asset base was eroding as it continued to under-perform the market. The fund’s managers quietly folded it into another of their funds. Average return over the life of the fund: 4.7% per annum, vs. 5.8% for the S&P 500. Garzarelli’s first newsletter was closed down in 1997, the year after it was launched, in the midst of a well-publicized fall-out with her publisher. The publisher claimed the newsletter had lost about 30,000 subscribers and worried about her long-term ability to attract and retain subscribers. Garzarelli said only 15,000 subscribers had been lost and put some of the blame for that on her publisher, which she also said hadn’t marketed the newsletter properly. Her subsequent forays into fund management proved no more successful than her first. For example, the Forward Fund group hired her to manage its U.S. Equity fund in 2000. In the expectation that her name would bring investors flooding in, it was reincarnated as the Forward Garzarelli U.S. Equity Fund. When she took over its management, the fund had assets of $35 million. When it was recast as the Sierra Club Stock Fund three years later, sans Garzarelli, its asset base had declined to $20 million. Garzarelli has even admitted: “I’ve learned that market timing can ruin you,” she says. “If you’re holding too much cash when the market moves, you’re behind the eightball.” Nevertheless, twenty eight years after she first rocketed to the investing public’s attention, Elaine Garzarelli still maintains her guru/media celebrity status. She is just one of a long line of such celebrity gurus whose star no longer shines so brightly. Remember Joe Granville? He was the darling of the media in the early 1980s - until, when the Dow was around 800 in 1982, he advised his followers to sell everything and short the market. Well, 1982 was the year the great bull market of the 1980s began. Nevertheless, Granville continued to urge people to short the market…all the way up to 1200. Granville was replaced by Robert Prechter who - unlike Granville - had predicted a bull market in the 1980s. But after the crash of 1987 Prechter declared the bull market finished and predicted that the Dow would plunge to 400 in the early 1990s. That’s like missing the side of a barn with a double-barreled shotgun. The dot.com boom of the 1990s produced another set of media “heroes,” most of whom disappeared from view soon after the NASDAQ began tanking in March 2000. The point I am trying to make is, instead of worrying about what the market is going to do, over which both you and me has no control, to focus our attention on the things we can control, such as the amount of risk we’re willing to take, diversifying those risks as much as possible, keeping costs low and keeping tax efficiency high. In short, investing in an index fund. That’s playing the winner’s game!